As you know I love to make my own cards. However, it seems like time always prevents me from doing so. If I can’t make them I still don’t want to go out and buy a package of commercialized cards. Id I have to buy cards I still want them to reflect me or my family. The best way to do this is photo cards. Many people think the process is long and difficult- but it isn’t! In fact it is super easy and you’ll be so happy with the finished product! In fact the longest you’ll spend doing something is finding the perfect card. 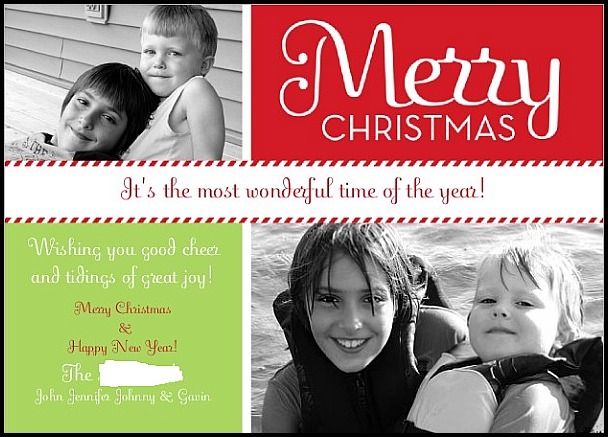 Shutterfly has so many great options when it comes to Holiday cards. Getting started is really easy. First I entered our Family Last Name and then our first names. After your brought to the screen above (this is for a flat card). If you already use them you’ll actually pull up your albums that you’ve loaded in the past. If you don’t want to use one of those you can just upload from your computer. Once your photos are uploaded your want to grab them and drop them into the spot you want them. I wanted to change some of the wording so I just clicked on the spot I wanted to change and a dialogue box popped up. Here you can chose what you want to write instead. If you want to change the font you can also do this here as well as the size, color, and placement too! Then you have a chance to view it all and make sure you like what you chose. How do you like mine? I am so excited about mailing these card out this year! Just so you know envelopes are also included. Plus, when they arrive they come in a nice box perfect for storing them in until you’re ready to write and mail them! The quality of the front and the paper they used was exceptional. The cardstock was nice and thick and nothing about these cards are flimsy or cheap feeling. I’m very glad I got to review these. I want to use these for other occasions too now! Shutterfly has so many options one is sure to be a great fit for you! Great giveaway! I would pick the Joy and Magic card! My fiance and I are on a very tight budget this holiday season saving for our wedding and first home. Winning this would be great! I’m already a public follower via GFC! I like Starlight Joy. 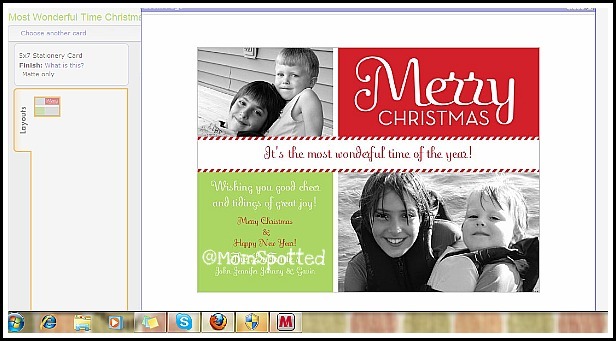 I love creating my Christmas cards with Shutterfly. #1 I already follow your blog via google friend connect. #2 I already follow your blog via google friend connect. 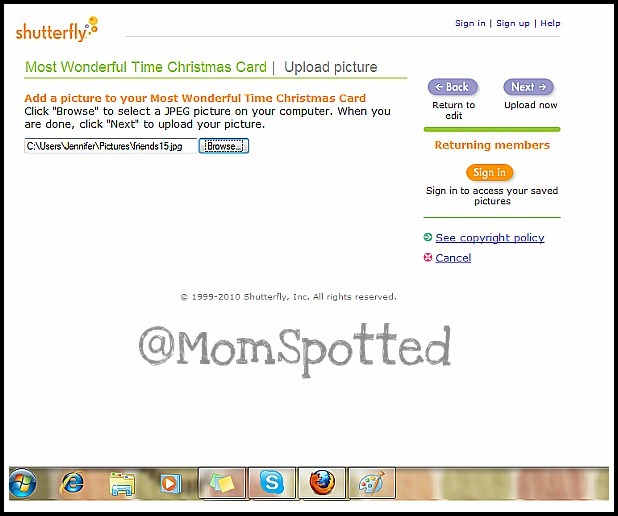 I would pick the Shutterfly “Gifted Tag” 4 x8 Photo Card. I love Shutterfly.com! 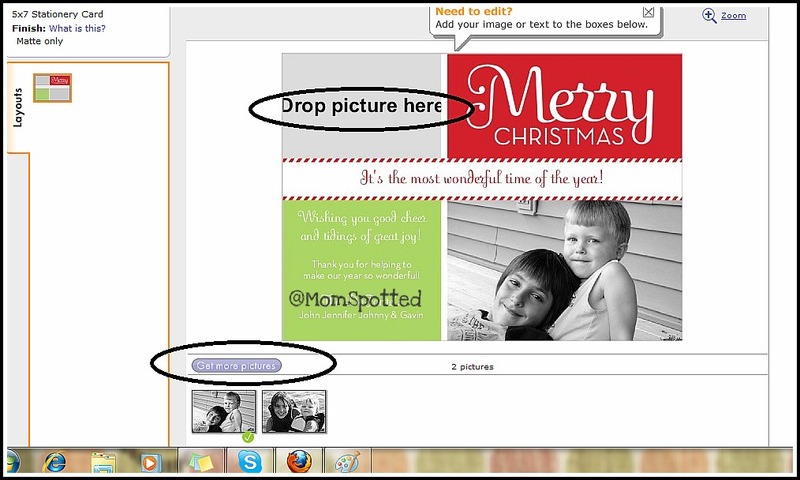 I am a facebook fan of Momspotted. I am a fan of Shutterfly on facebook. I love the Retro Tree photo card! I like the Most Wonderful Story card. I’d pick the Joy and Magic Christmas card – so, so elegant! I love the Oh What Fun card! So adorable! I would choose the gifted tag photo flat card. I would choose the “Family Wall Noir” Christmas Card design. Thank you so much for entering me! +2 Entries — I follow your blog. +2 Entries — I subscribe to your blog by email. +1 Entry — I am a fan of Shutterfly on facebook. I posted on their wall. 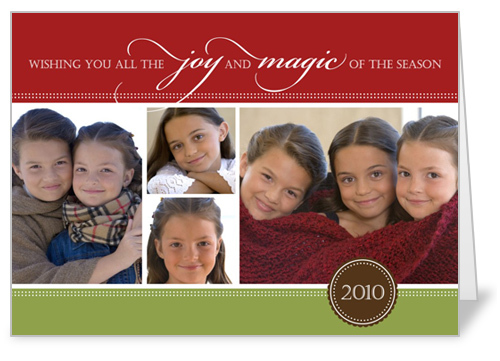 I would pick the Fun Holiday Wishes Christmas 4X8 Photo Card. i would pick the peppermint palms holiday card! So many choices! i think i would pick this one, but i may want to look over them again! I’d pick the Modern Ornaments card. 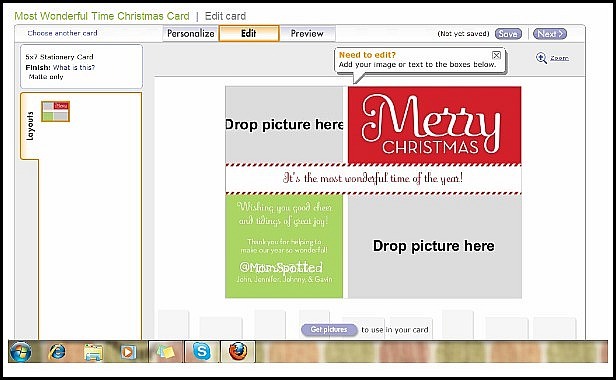 I would choose the ‘Oh Deer Christmas Card’ – it even has matching address labels, too cute! i would pick the joy aand magic card!!! I’d choose either Holly Frame or Classic Mistletoe Frame. i love the swirling ornament cards! I would choose the “Family Wall Noir” Christmas Card! I would pick the Vintage Noel Christmas Card. I’m a GFC follower #2. Following Shutterfly on twitter as CMKuno. I would choose the Many Memories Tree folded Christmas cards. I love them! 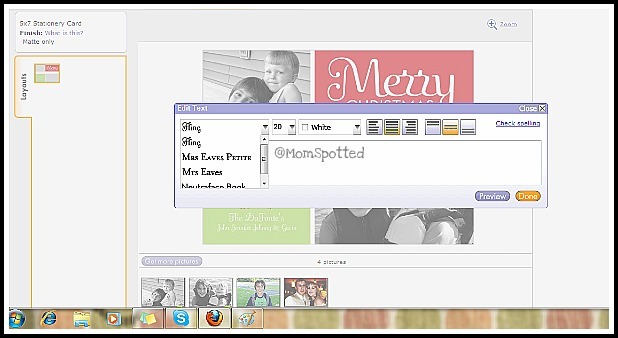 I like Shutterfly on Facebook (Sarah Smile). I posted the giveaway on my home page. I like the Oceans of Love card.